Esbjörn Hazelius is one of Sweden’s leading folk music singers and strings players. Johan Hedin is a virtuosic player and innovator of the spectacular and old instrument, the key harpe. 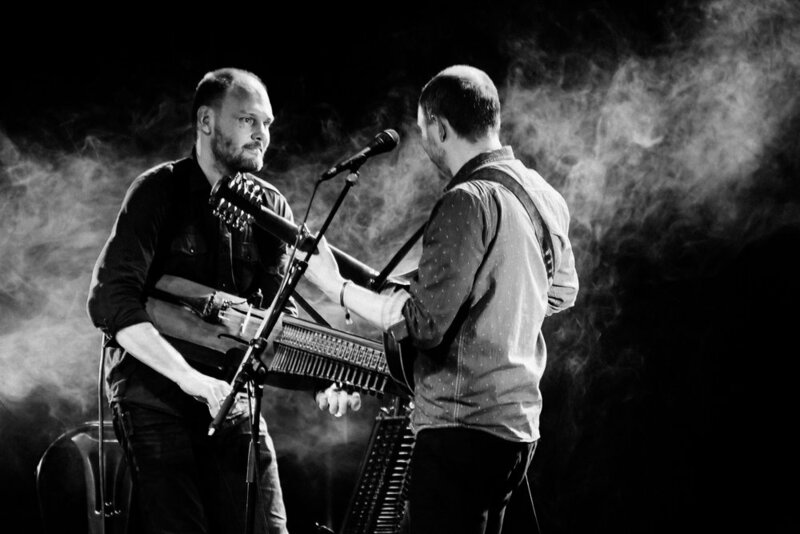 Individually, they are two of Sweden's most valued folk musicians, and they have been very succesful on the Scandinavian folk music scene. Together they form an incredibly complete and colourful duo with brilliant and rare intimacy. With remarkable drive, Hazelius Hedin fills Swedish dance and song with music that is both catchy and touching. Their repertoire ranges from fairy tale songs and ballads to instrumental dance tunes, both traditional and newly composed. FRIDAY 6. julY - 21.00 Dance non-stop!